Last week, a little over an hour after the Intercept published a story about a classified National Security Agency report concerning Russian election interference, Reality Winner, the alleged leaker, was arrested and charged under the Espionage Act. In recent years, the Espionage Act has been used as a statutory sword against whistleblowers. Donald Trump allegedly told former FBI director James Comey he wanted to prosecute journalists under the statute. But historically, the Espionage Act is perhaps most significant not for its role in persecuting whistleblowers, but for crushing dissent during World War I. Nowhere was this crackdown felt more acutely than within the Socialist Party (SP). While never on par with some of its international counterparts, the SP was a genuine mass party that elected countless local officials, sent two members to Congress on its own ballot line, and fostered a vibrant socialist press that reached millions. Its longtime standard-bearer, Eugene Debs, was a nationally known figure. During World War I, even as the majority of its counterparts in the Second International elected to be complicit in the bloodshed, the SP steadfastly opposed the conflict for pitting worker against worker in a scramble for markets and colonies. According to conventional narratives, it was this decision that caused the SP’s decline: its staunch opposition to a “rich man’s war, poor man’s fight” made it unpalatable to the patriotic masses. Yet by any measure the Socialist Party’s popularity increased — in fact, it became one of the main vehicles for antiwar and anti-conscription sentiment. If the SP was brought down by the war, it was only because the Espionage Act gave its enemies long-coveted tools to wound the party. Its leaders were indicted and jailed. Its politicians were barred from office. Its newspapers were confiscated. A century later, as socialist politics gain favor again in the United States, it’s important to remember the role that brute repression played in the SP’s downfall — and the continued threat the Espionage Act poses to democratic freedoms today. On June 15, 1917, after a rancorous debate about civil liberties and press freedom during wartime, Congress, at the urging of President Woodrow Wilson, passed the Espionage Act. Wilson had campaigned for reelection on the slogan “He Kept Us Out of War.” Apparently, enough people opposed US entry into World War I to put Wilson over the top. Yet just a few months later he was sending US troops into brutal trench warfare abroad. Propaganda alone wasn’t enough to gin up support. Early on, recruitment was sluggish. The federal government decided to impose conscription. Forcing people to fight in an unpopular war, however, posed its own challenges. In New York City alone, ninety of the first hundred draftees claimed exemption. A number of other people gave false addresses to draft boards or simply ran away. As substantial pockets of the country resisted the draft, the Socialist Party reaffirmed its opposition to the war. In “all modern history there has been no war more unjustifiable than the war in which we are about to engage,” the party proclaimed, pledging its “[u]nyielding opposition” to conscription. The most observable impact of the party’s platform was a dramatic growth in support for the Socialists. In the 1917 municipal elections, the SP saw an exponential increase in its share of the popular vote. While such local affairs may not seem like a referendum on internationalism and militarism, the party’s antiwar stance was well known, and prominent candidates like Morris Hillquit, a New York City mayor hopeful, ran on an explicitly anti–World War I platform. Hillquit won 22 percent of the vote, “five times the normal Socialist vote there.” Similar results could be seen elsewhere, with the party jumping from the low single digits to well into the thirties in Chicago and Buffalo. Electoral opposition and draft evasion weren’t the only sources of concern for the political elite. 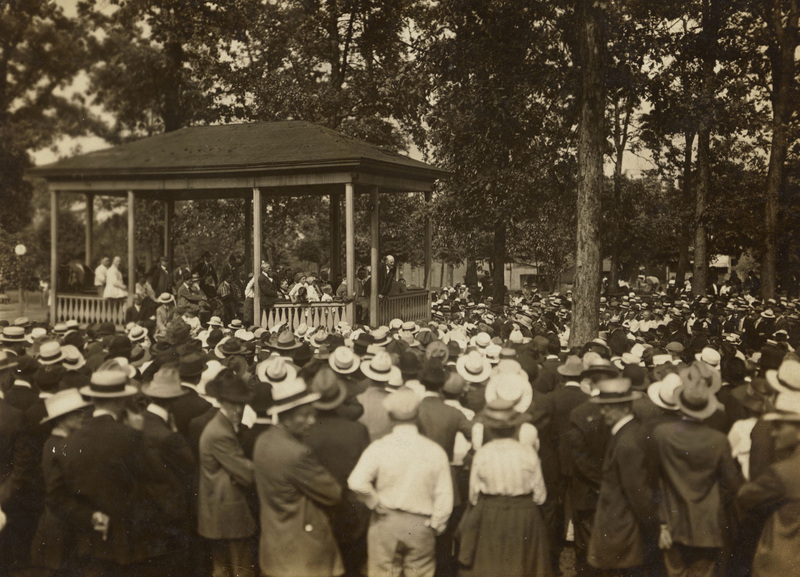 On August 3, 1917, a multiracial group of Oklahoma tenant farmers opposed to conscription launched an armed rebellion, intending to march across the country to Washington, DC. They didn’t get very far, but they burned bridges and slashed telephone lines before being stopped. The “Green Corn Rebellion” resulted in three deaths, 400 arrests, and 150 convictions. Pro-war elites clearly had a problem on their hands. Shortly after the US officially entered World War I, Woodrow Wilson sent the Espionage Act to Congress. While the legislation was ostensibly intended to target German saboteurs, the act’s proponents made it clear they were equally, if not more, concerned with domestic dissent. The initial version of the Espionage Act trampled on freedom of speech in an unprecedented way. It would have created a board for press censorship and imposed criminal penalties on newspapers that ran afoul of it. It also would have made sowing “disaffection” within the military punishable by life in prison. Predictably, the press censorship provision aroused strenuous opposition from newspapers across the country. Yet while the nation’s leading papers spoke out against this section of the bill, they had no problem with the Espionage Act as a whole. They sought to draw a distinction between themselves (responsible members of the political establishment) and antiwar figures (radicals and reprobates undeserving of civil liberties). They smeared antiwar activists and radicals in their pages, championed political repression, and published propaganda from the Committee on Public Information. It was Clyde Miller, a journalist with the Cleveland Plain Dealer , who ultimately reported Eugene Debs to federal prosecutors. While the two controversial provisions were ultimately stripped from the bill, one provision in the final legislation effectively accomplished the same ends as the rejected censorship clause: it empowered the postmaster general to prohibit from the mail any publications advocating or urging treason, insurrection, or forcible resistance to any US law. The postmaster general used his prerogative to attack the socialist press, effectively shuttering many publications by driving them into bankruptcy. The Espionage Act gave the US state a variety of instruments to quash radicalism. Using a clause that made it a crime to interfere with the United States’ recruitment efforts, the government jailed individuals who criticized the war on the theory that such statements were intended to dissuade enlistment-age men from serving in the army. Verboten statements included: “I am for the people and the government is for the profiteers,” “war is murder,” and “Woodrow Wilson is a Wall Street tool.” Arguing the draft constituted slavery and violated the Thirteenth Amendment was also grounds for conviction. Still, some in Congress and the Wilson administration felt that the legislation did not go far enough — that too many subversive elements were escaping their grasp. In subsequent years, indictments and other court papers would only reference the Espionage Act, making it difficult to parse how many people fell prey to offenses specifically criminalized in the Sedition Act amendments. Whatever the number, the legislation expanded the Espionage Act’s already vast net. The most prominent case brought under the Espionage Act was that of Eugene Debs. Debs was a perennial presidential candidate for the Socialist Party. He frequently traveled the country giving speeches to mass audiences and wrote regular columns for the Socialist press. Perhaps the US’s best-known voice of socialism, he commanded an audience outside the party’s ranks. The master class has always declared the wars; the subject class has always fought the battles. The master class has had all to gain and nothing to lose, while the subject class has had nothing to gain and all to lose — especially their lives. . . .
[T]he working class who fight all the battles, the working class who make the supreme sacrifices, the working class who freely shed their blood and furnish the corpses, have never yet had a voice in either declaring war or making peace. It is the ruling class that invariably does both. They alone declare war and they alone make peace. For this speech, Debs was sentenced to ten years in prison for intending to “cause and incite insubordination, disloyalty, mutiny and refusal of duty in the military,” as well as “to obstruct the recruiting and enlistment service of the United States.” The Supreme Court, when upholding Debs’s conviction, put significant weight on the fact that during his speech Debs had expressed solidarity and support for his Socialist comrades imprisoned under the Espionage Act. The SP leaders targeted through the act extended down the party ladder. Victor Berger, an avatar of the party’s right who had previously served in Congress, was indicted in March 1918 under the Espionage Act for opposing World War I. Berger ran for Congress anyway and won. Yet the US House refused to seat him, triggering a special election in his Wisconsin district. Berger won again, but again the Congress declined to seat him. It wasn’t until 1923 that Berger was permitted to serve in Congress. The biggest radical group in the US other than the SP was the Industrial Workers of the World (IWW). While the IWW had always faced brutal repression (and though they were less vocally opposed to the war than their SP comrades), the federal government used World War I as an opportunity to try to break the IWW once and for all. When the IWW led a series of militant strikes, the federal government decided to move in on them. It suppressed many of the strikes using federal troops. And on September 5, 1917, the Bureau of Investigation, the precursor to the FBI, raided IWW offices across the country. Over one hundred IWW members, including its most prominent member, Big Bill Haywood, were put on trial for a mixture of industrial conspiracy and Espionage Act charges. According to the prosecutors, the IWW, by leading strikes during wartime, had attempted to sabotage the war effort as part of an unpatriotic, treasonous conspiracy. All of the accused were convicted. Haywood would flee to Soviet Russia, where he would live out the remainder of his life. Another radical organization had been felled. In recent decades, the Espionage Act has been used not to prosecute individuals for publicly railing against war but to threaten whistleblowers and journalists. Prosecuting domestic whistleblowers for espionage remained a rare occurrence until Obama’s inauguration. Obama used the Espionage Act to wage an unprecedented war on whistleblowers. Eight whistleblowers — Thomas Drake, Chelsea Manning, Stephen Jin-Woo Kim, James Hitselberger, Shami K. Leibowitz, John Kiriakou, Jeffrey Sterling, and Edward Snowden — were charged under the statute. All of these cases are shocking in their own right, but the details of John Kirakou’s case are especially troubling. Kirakou was a former CIA agent who told ABC News that the CIA had engaged in a program of torture and that President George W. Bush not only knew about it but approved it. The CIA wanted Kirakou charged with the Espionage Act, but under the Bush administration, one of the most hostile in US history to civil liberties, the FBI declined to bring charges, concluding Kirakou had not committed a crime. Things changed when Obama came into office. A memorandum later revealed that the DOJ initially responded with confusion to the CIA’s request, as nothing Kirakou did could be construed as espionage. The CIA insisted they charged him with espionage nonetheless. Obama’s DOJ obliged. Kirakou would plead to lesser charges, but he ended up serving nearly two years in federal prison — the only person to receive a jail sentence in relation to the CIA torture program. Following mass pressure, Obama commuted Manning’s sentence. This only came, however, after Manning served more time for leaking information to the press than anyone else in US history. At times she was held in conditions that constitute torture. Unfortunately, Obama’s aggressive use of the Espionage Act gives Trump — who is obsessed with leaks and contemptuous of press freedoms — another weapon he can use. If Trump strikes a serious blow against press freedom, liberals should look not to Vladimir Putin, but to Barack Obama for having paving the way. Counterfactuals often make bad history, but when looking at the World War I–era Socialist Party, it is impossible not to ask what might have been. Many conventional histories of the period seek to cast state repression as part and parcel of a wider mob mentality, of popular outbursts reacting hysterically against nonconformity in their midst. But while vigilante mob violence against radicals was real, the initial outbreak of World War I did not hinder the SP’s growth, but encouraged it. By bringing the full weight of the state’s repressive apparatuses down upon the SP and the IWW, the Wilson administration not only chilled opposition to the war, it destroyed two of the most vibrant radical movements in the US. Efforts to form a viable left party or build a mass socialist movement were undoubtedly set back. Today, the Espionage Act terrorizes potential whistleblowers into silence. It prevents the citizenry from gaining a full picture of the US’s covert wars, surveillance apparatuses, and drone-based program of extrajudicial executions. The century of the Espionage Act has been a century of repression, forced silence, and chilled speech. It began with the systematic quashing of powerful radical movements and continues with a culture of secrecy in which the only people to face sanction for the US government’s crimes are those who bravely expose them. The Espionage Act, in other words, has worked out exactly as designed.